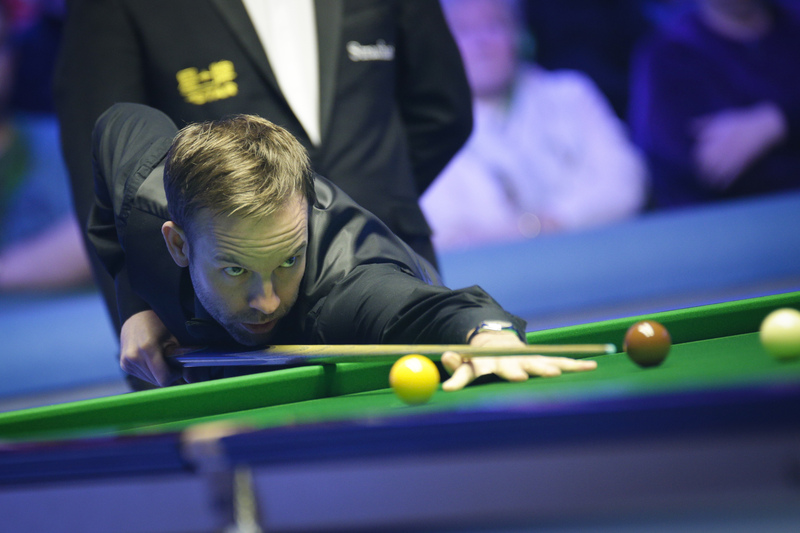 Ali Carter was a 4-1 victor against Mark Allen after the Northern Irishman handed him the fifth frame before its completion at the Coral World Grand Prix in Cheltenham. The Captain progresses to reach his third quarter-final of the campaign and boosts his chances of progressing to the next event in the Coral Series, the Players Championship. The top 16 players in the one-year ranking list will travel to Preston, with the top eight going on to the Tour Championship in Llandudno. Carter came into this week ranked 17th and is now guaranteed to add £12,500 to his tally. Despite defeat in this event, Allen can take comfort from the fact he has comfortably secured his progression through the series. The Pistol tops the one-year list having already secured victories at this season’s International Championship and Scottish Open. After Allen claimed the first frame this afternoon, it was Carter who gained the edge as both players struggled to produce their best form. He took four frames on the bounce, top scoring with a break of 86. However, it was the last frame which led to the biggest talking point with the scores at 3-1. Allen trailed 20-2, before conceding the frame early after going in off on the yellow. He gently pushed the yellow away with his hand and gave Carter the tie. Carter said: “It was a win to 3-1, but Mark conceded there. You never want to win like that. I feel for him because he is the player in form. He just lost his head for a little while. We have all done it and it is so easy to do. Carter’s opponent in this evening’s quarter-final tie will be David Gilbert who put on a superb display to whitewash Ding Junhui 4-0. The Tamworth cueman reached the final of last week’s German Masters in Berlin and has carried that form over to Cheltenham. He is yet to drop a frame this week and completed this afternoon’s win with breaks of 101, 66, 138 and 74. World number one Mark Selby set up a mouth watering quarter-final meeting with Judd Trump thanks to a 4-2 defeat of Thailand’s Noppon Saengkham. While last week’s German Masters winner Kyren Wilson secured his last eight spot with a 4-0 whitewash win over Stuart Bingham.